This is a collection of my media work, showcasing unique voices from artists, community leaders and other fascinating people. I’ve had the fortune of interviewing amazing people and learning their incredible stories, both for radio broadcast and on video for digital archive. 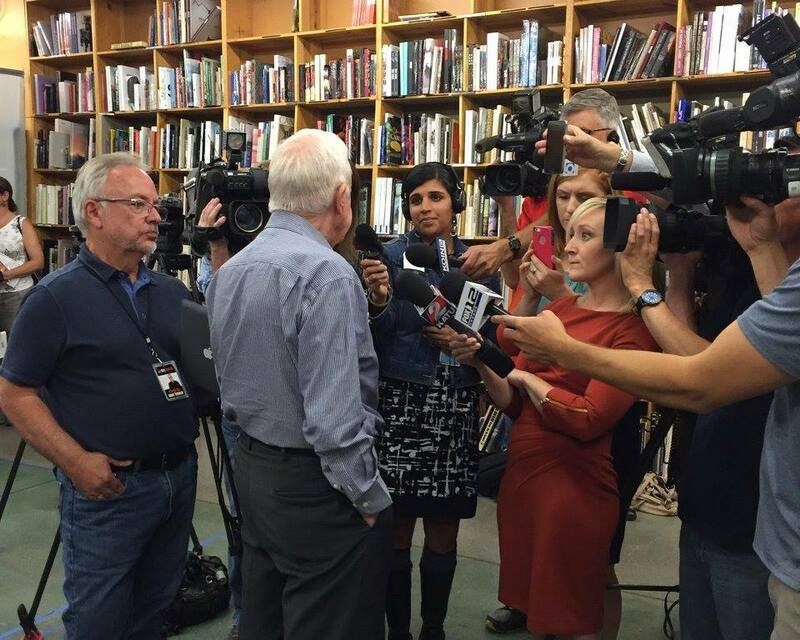 Media fun with President Jimmy Carter. Courtesy of Powell’s. What started out as a curious hobby quickly became an awesome opportunity working in media! And now that I’ve been at this for over seven years, I started a “featured” tab to share some of my best work with you! ***You can now subscribe to my podcast on iTunes! Check it out! Check out the videos, podcasts, transcripts (transcribing done by Doug McVay), and more! And contact me if you have a story to tell!